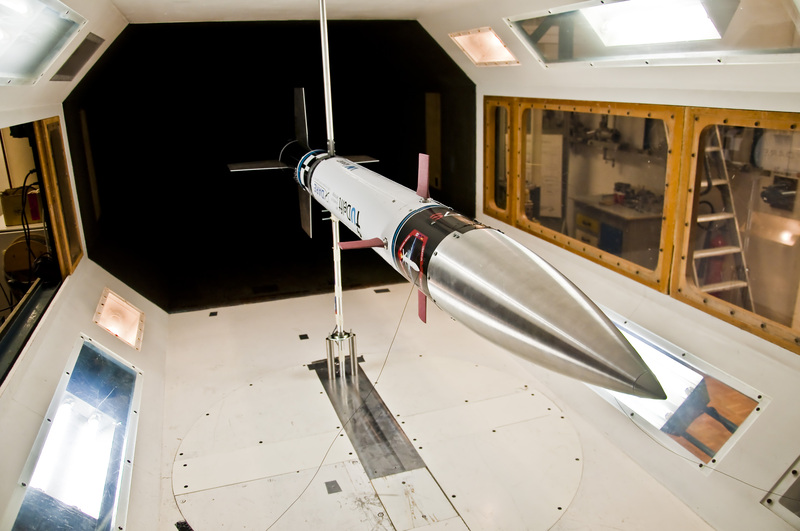 Pre-2014, DARE rockets were passively stabilized, with fin size and location balanced such that the rocket turns into the wind once it clears the tower. As a consequence, medium to high crosswinds can severely limit the altitude a rocket can achieve. 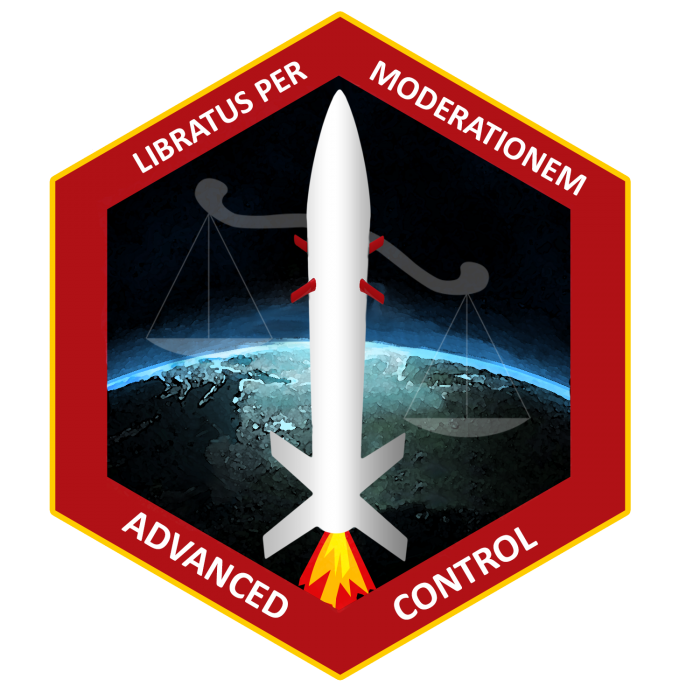 In 2013 the Advanced Control Team (ACT) was born with as objective to design, develop and launch the first rocket of DARE which uses an active stabilization system to actively stabilize the flight trajectory of the rocket. 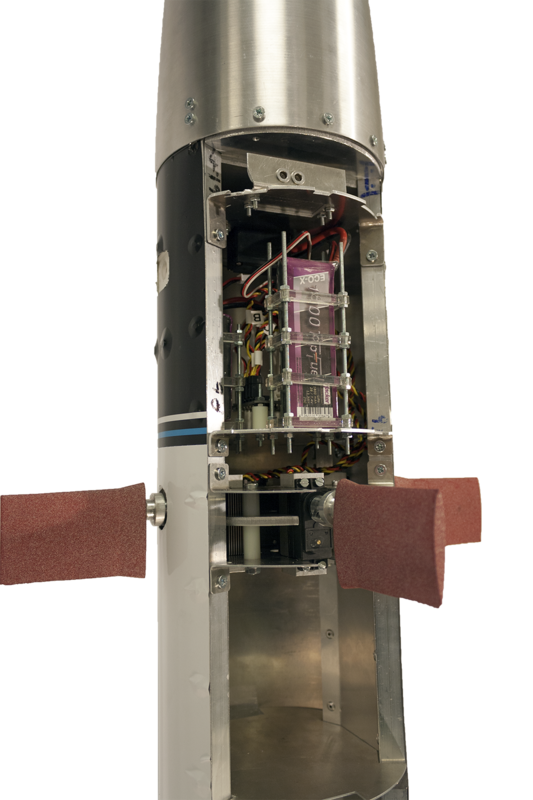 The flagship of the ACT is the V7S rocket, a modified CanSat V7 Launcher with the Stabilization Augmentation System (SAS) implemented in the top payload bay. Four metallic-based 3D printed canards, each driven by a separated servo allow the rocket to actively stabilize its flight trajectory. The electronics module is located on top of the SAS, which contains the flight computer including sensors, battery for the canard servos and battery for the parachute servo. A 9 axis Internal Measurement Unit (IMU) is used to determine the orientation of the rocket. Any deviations in the rockets predetermined vertical flight path are detected by the IMU, and the control algorithm ensures that the canards are deflected in such a way that the rocket goes back to its preferred orientation. Simulations have shown that the controller would raise the apogee of the V7S by 9.2% and would reduce its ground track by 24.7%, as compared to the original CanSat Launcher V7. The concept that the ACT developed was implemented by the DARE Minor of 2013-2014. 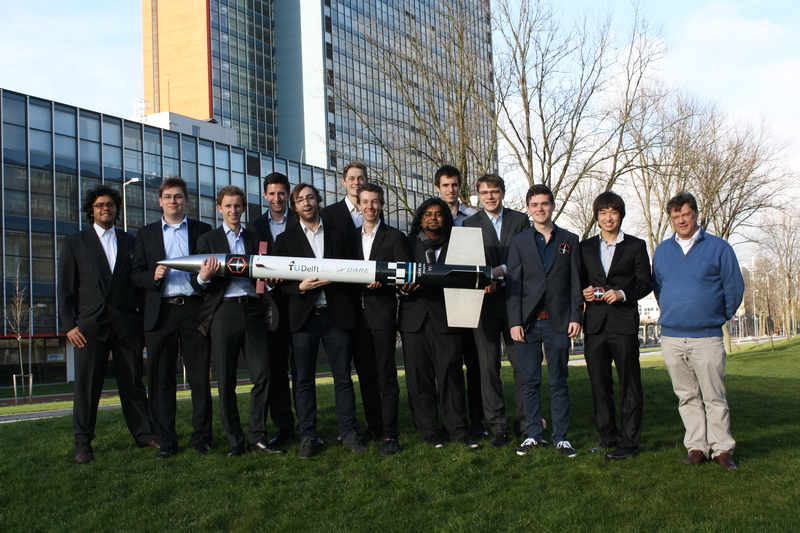 On Friday 10th of January, the DARE Minor 2013/14 proudly presented DARE’s first actively stabilized rocket. 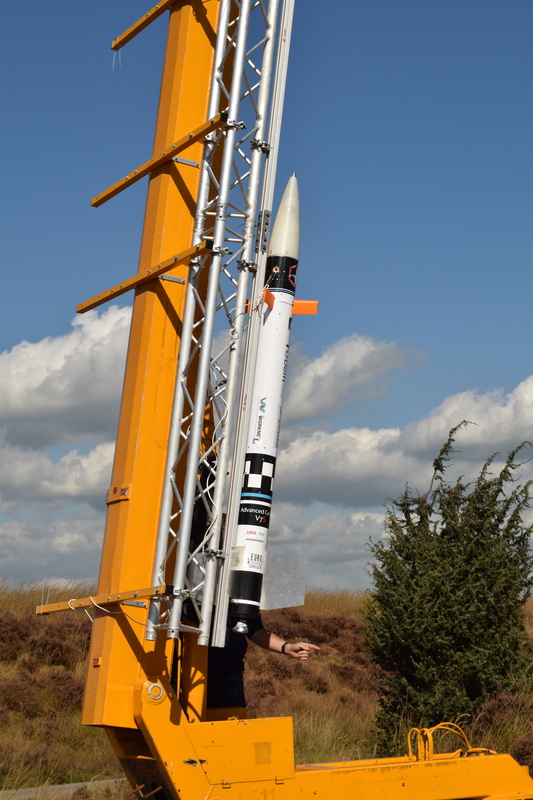 The project, “design, construction and testing of a Stability Augmentation System (SAS) for a sounding rocket” culminated with the successful development of the V7S rocket, a modified version of the original CanSat Launcher V7 which now mounts a canard-based SAS. This system actively controls the orientation of the rocket, bringing more efficient flight paths with higher apogee than those of their passively stabilized counterparts. 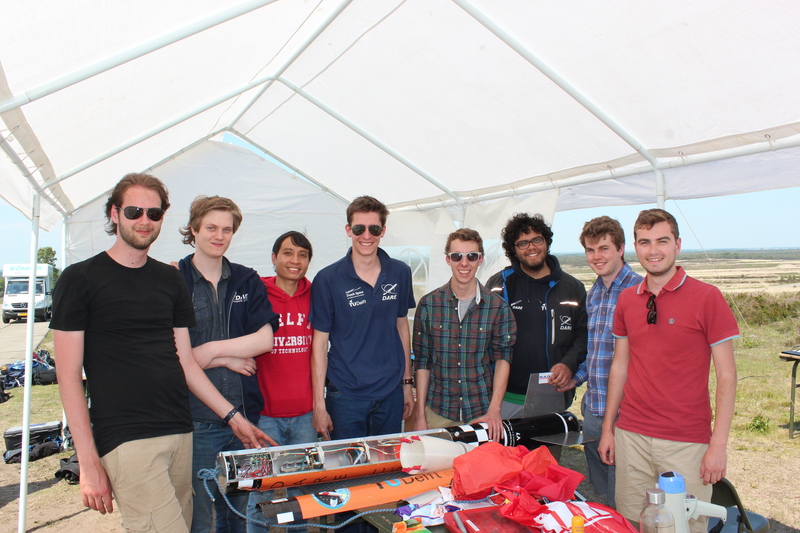 One of the major breakthroughs achieved by this Minor group is the development of a robust non-linear controller algorithm, which is based on the novel State-Dependent Riccati Equations (SDRE) and is able to accurately guide the rocket according to its desired orientation. Another important achievement is the development of a precise and powerful simulation tool. After the DARE Minor of 2013-2014, the ACT continued with the V7S. A number of members of the Minor joined the ACT, to share their experience and knowledge, and to further optimize the flight computer. With the ACT reinforced with new members, they prepared the V7S for testing and launching. On the 25th and 26th of August, the ACT performed an unique windtunnel experiment with the first actively stabilized rocket of DARE. The experiment was executed in the Low Turbulence Tunnel of the Aerodynamics Lab of the Delft University of Technology. The V7S was mounted in a dynamic test rig, which allowed the rocket to freely rotate around one axis to simulate active flight trajectory stabilization. To ensure safety, the test rig is designed in such a way that the rocket is physically limited to not exceed its maximum rotation angle. At airspeeds up to 80 m/s the canards behaved above expectations. The control system showed that the rocket has a quick response to manual inputs to the canard deflections, while still being passively stable. This means that if the canards fail and get stuck at their maximum deflection angle, the rocket is still stable and will not make unwanted maneuvers. The next step in the testing process was to test the sensors of the rocket. The brain of the V7S is the Flight Computer with XSENS MTi-100 IMU, which is able to measure accelerations, rotations, magnetic field, and static pressure. The XSNS is used to determine the attitude of the rocket. These sensors send their measurement data to the Flight Computer where the control algorithms determine the rotations of the canards which are required to stabilize the flight trajectory. In 2015 the ACT successfully launched two CanSat V7 rockets, which carried the ACT Flight Computer as payload. 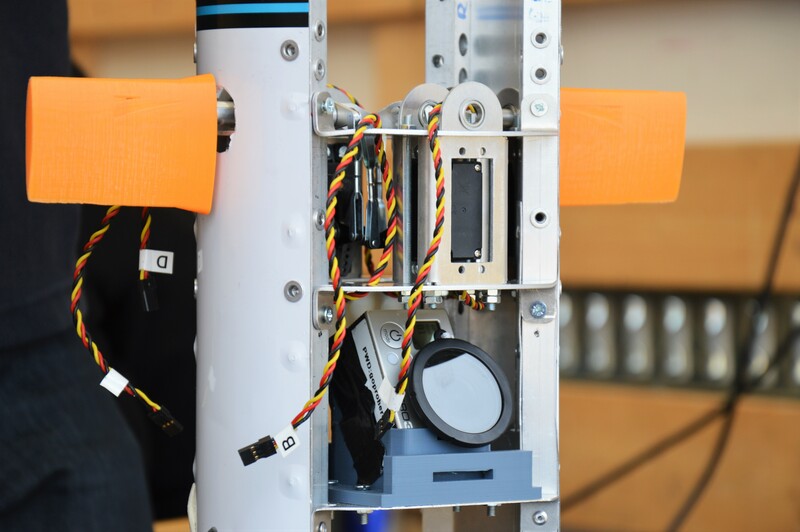 The objective of these launches was to test the behavior of the sensors during flight, since this is critical for on-board flight data processing with the flight control algorithms. The data was saved during flight on a blackbox, which is later processed to update the control algorithms of the Flight Computer. Besides working on DARE's first actively stabilized rocket, the ACT is also working on a payload module for the Stratos II+ launch in October 2015. The ACT is constantly improving the Flight Computer, to optimize its performance and to make it more reliable. Since the Inertial Measurement Unit (IMU) is the most critical sensor of this system, a lot of experimenting is done with new types of IMUs. 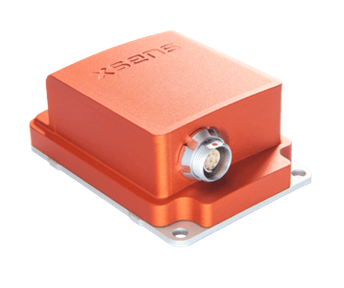 Recently, the ACT acquired the most advanced IMU DARE has ever seen, which is the Mti-100 IMU sponsored by XSENS "the leading innovator in 3D motion tracking technology". The launch of Stratos II+ is the perfect opportunity to test this IMU, which shall be used to investigate future DARE rocket attitude determination methods. A blog post about the payload module written by Marco Geurtsen, Electrical Engineer of the ACT, can be found here. In 2016 the ACT performed the first flights with the actively stabilized V7S rocket. After an unfortunate attempt in Denmark in April, the first flight of the V7S took place in May. The objective of the first flight test was to perform a complete integrated flight test of the sensors, flight computer, control algorithms, and canards. To reduce the risk during flight, the rocket was limited via software to only perform roll stabilization. The flight tests in May and September concluded that the overall stabilization system worked, however that the canards in the current configuration are not optimal. This is probably caused by an aerodynamic interference effect between the canards and fins during a roll-stabilized flight. Unfortunately the team does not have the tools or knowledge to study this aerodynamic interference effect in detail, since it most likely requires 3D Computational Fluid Dynamics vorticity analysis, which is a very specialized field in aerodynamics. To solve this problem, future rocket configurations which use canards should not have the canards in-line with the fins. Furthermore, the team is investigating a new type of stabilization system which does not have this problem, such as fin-stabilization. The launch of the V7S was a turning point of the whole DARE society. With this new technology, DARE is able to extends its current rocket designs to even higher levels. In theory, with active stabilization DARE would be able to safely launch rockets into space. In 2017 the ACT plans to launch a supersonic version of the SAS with Project Aether. In this system the fins and canards are placed under a 45deg offset to reduce the aerodynamic interference. The objective of this flight is to test the flight control system during supersonic flight. Furthermore, the team plans to investigate new active stabilization techniques, such as fin stabilization by means of ailerons. These systems should increase the effectiveness of actively stabilized rockets within DARE. After having successfully launched the V7S, the ACT will continue with developing even more advanced control systems and algorithms. The ACT will investigate SAS optimization for both subsonic and supersonic flights, which is required for launches into space. The ACT will guide DARE into a new era of advanced rocketry, allowing students to participate in one of the most exciting projects of Delft.